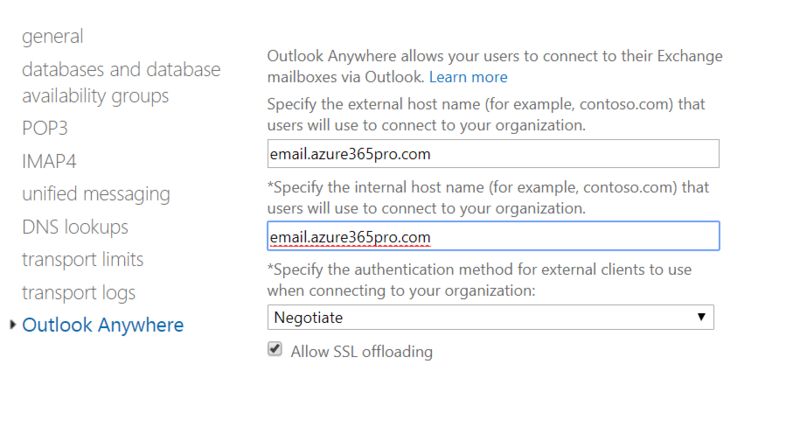 Authentication prompts in Outlook is one of the worst to troubleshoot in a Messaging Environment. But if your clear about your Architecture and the connectivity flow it could be much easier for you to isolate the issue. I have listed the most common scenarios . Lets see one by one. 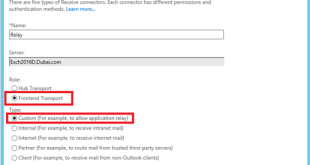 Conflicting Outlook Anywhere Settings in Co-existence Environment. Public Folders Co-existence not configured Properly. I know Microsoft patches are crazy sometimes . But i strongly recommend to upgrade the Microsoft Office to the latest version to stay secured also so that you don’t work on a issue which is already fixed. There are many feature optimizations and Protocol enhancements made over these months . So before even start troubleshooting make sure you have the latest version of Office running . So that it helps you to isolate the issue faster and quicker. when we are using RPC HTTP it wasn’t mandatory to store credentials on the local machine. 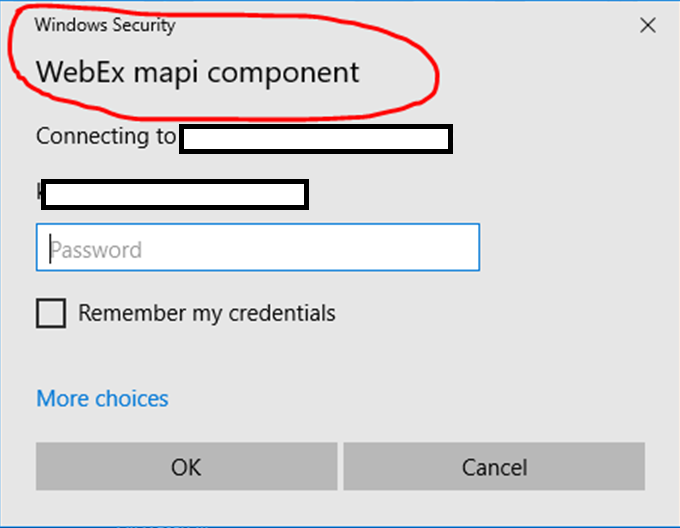 But here comes the HTTP MAPI where it makes it mandatory for users to store the password in the credential manager when the users leave the domain network. As of today when a domain joined machine leaves the domain / corporate / internal network and goes external. 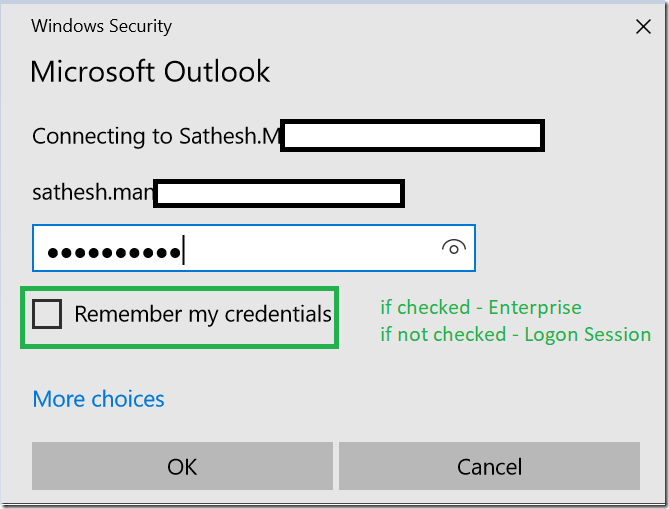 Outlook Prompts for credential to enter it once to store in the credential manager. So that it won’t ask you again. Until the password expires on it. This wasn’t the case or behaviour with RPC HTTP. 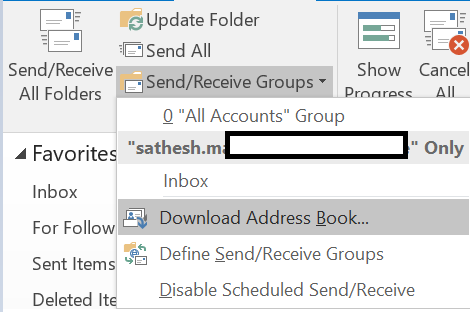 Seeing Connection Status in Outlook shows you. 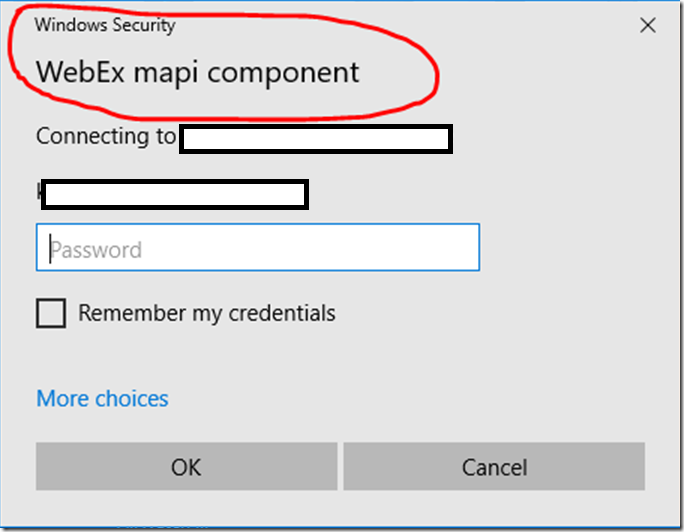 The Outlook is using RPC HTTP or HTTP MAPI. 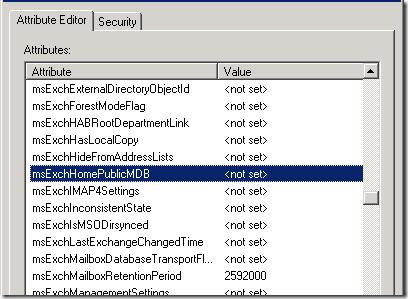 this behavior is by design when user is on the External Network for Exchange Server 2016 . 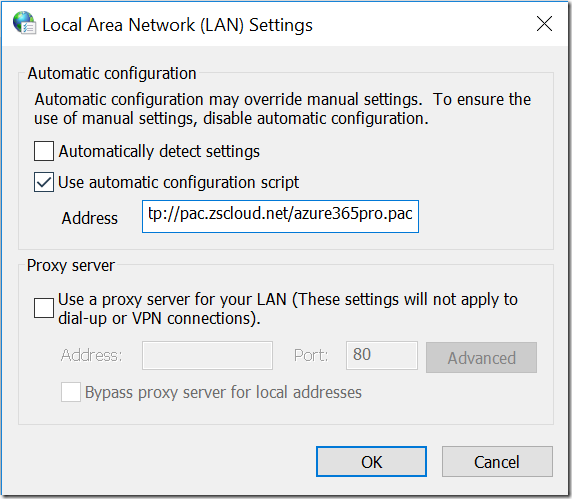 If your using On Premises you make it to bypass the traffic and go direct. 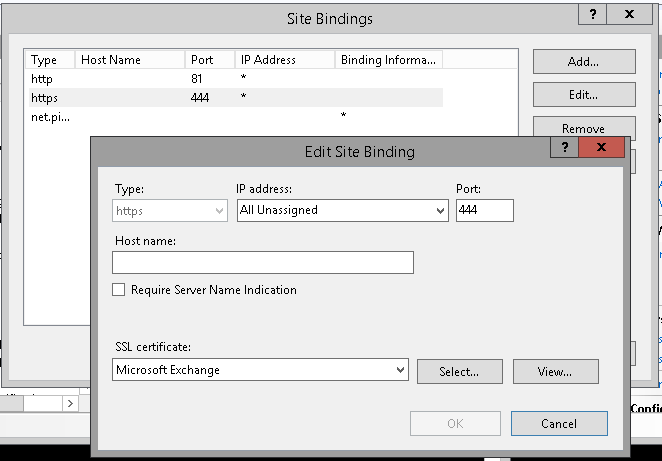 So that when they are in Domain it goes to the Exchange Server Directly. There are many Add-ins for Outlook . Which may cause credential prompts. Outlook Safe mode can answer you those. 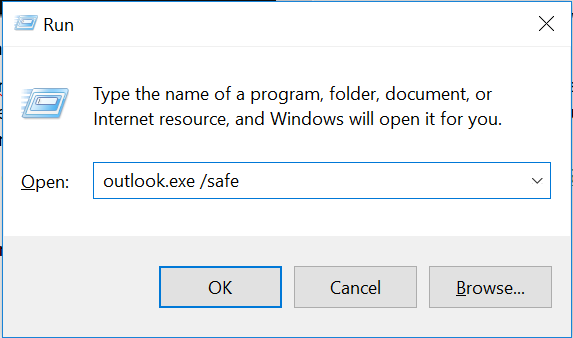 Safe mode removes all the Addins on start up temporarily for you to test the behaviour of Outlook to isolate the same issue. 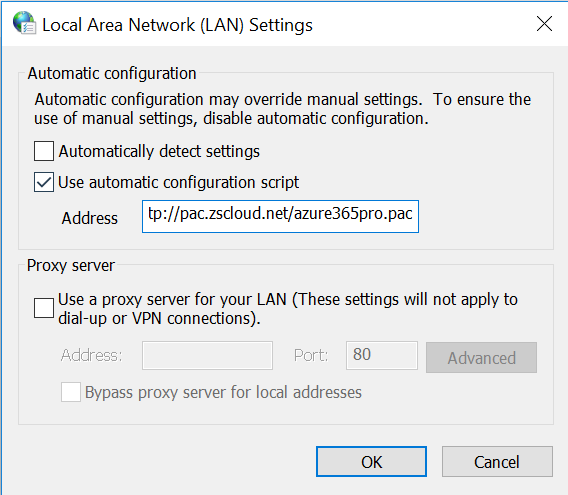 Credential prompts may be a reason when they are not able to proxy into the destination server. 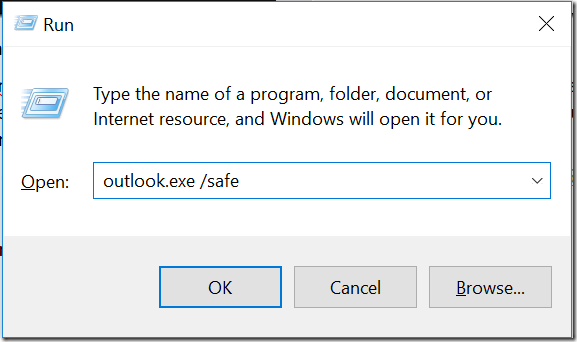 Where Outlook anywhere wasn’t mandatory in environments . When it comes to Exchange Server 2016 . 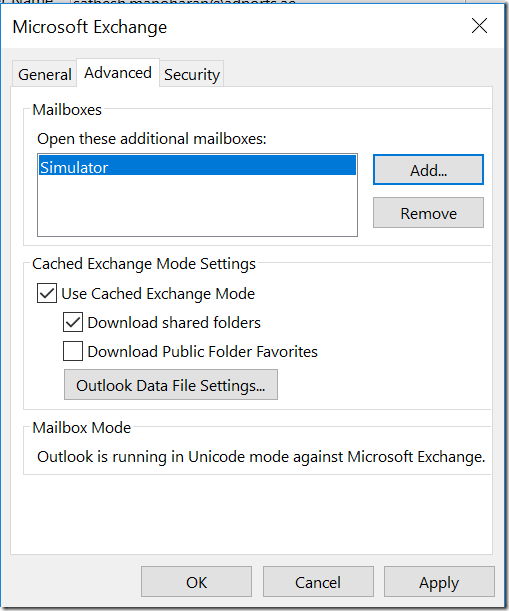 Outlook anywhere has to be enabled on all Exchange 2010 servers for example . when you want to start with an co-existence. 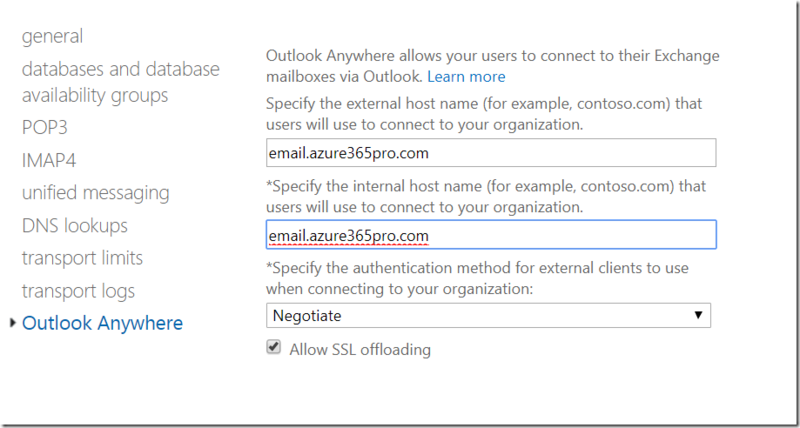 Outlook anywhere settings has to match between the legacy servers and the new exchange servers when you setup a coexistence . In order to have smooth client connectivity. In my case . 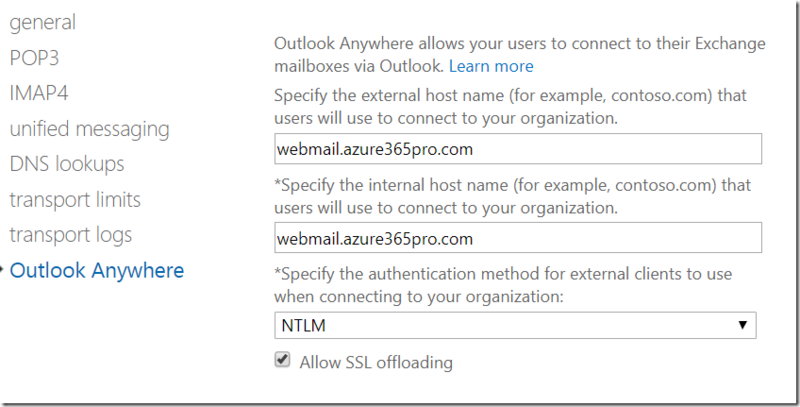 In my recent migrations – Exchange Server 2010 was set to use NTLM . 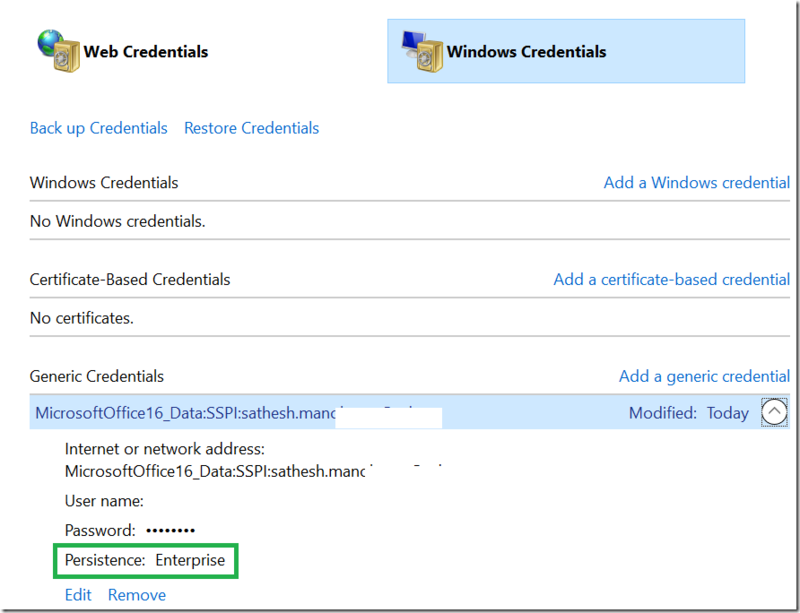 so made the same configuration on Exchange 2016 then the co-existence connectivity was successful. Basic authentication: If you select this authentication type, Outlook will prompt for username and password while attempting a connection with Exchange. NTLM authentication: If you select this authentication type, exchange does not prompt users for a user name and password. The current Windows user information on the client computer is supplied by the browser through a cryptographic exchange involving hashing with the Web server. 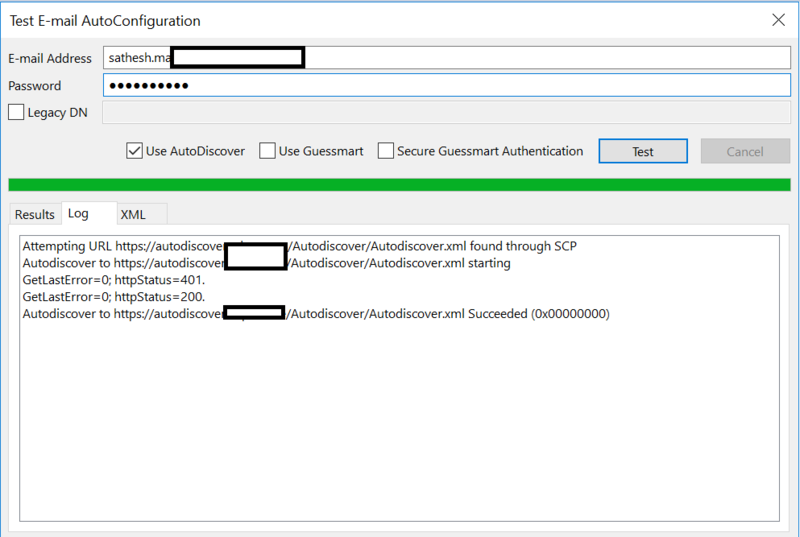 If the authentication exchange initially fails to identify the user, the browser will prompt the user for a Windows user account user name and password. 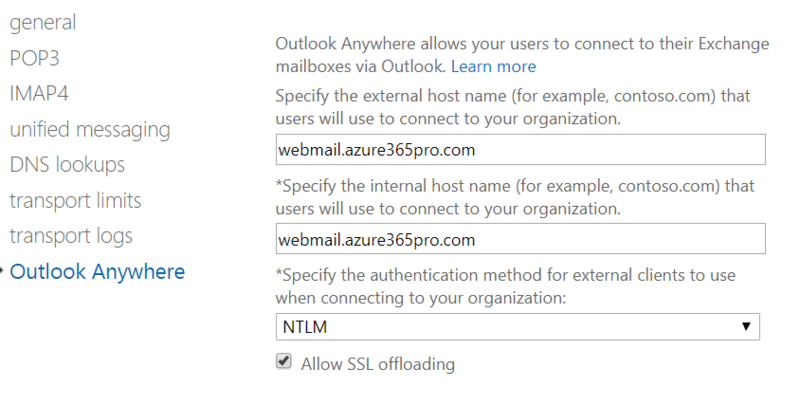 So, when Outlook is trying to connect to Exchange and if the machine is domain joined, there isn’t a need to provide password. Negotiate authentication: Enabled by default in Exchange 2013. 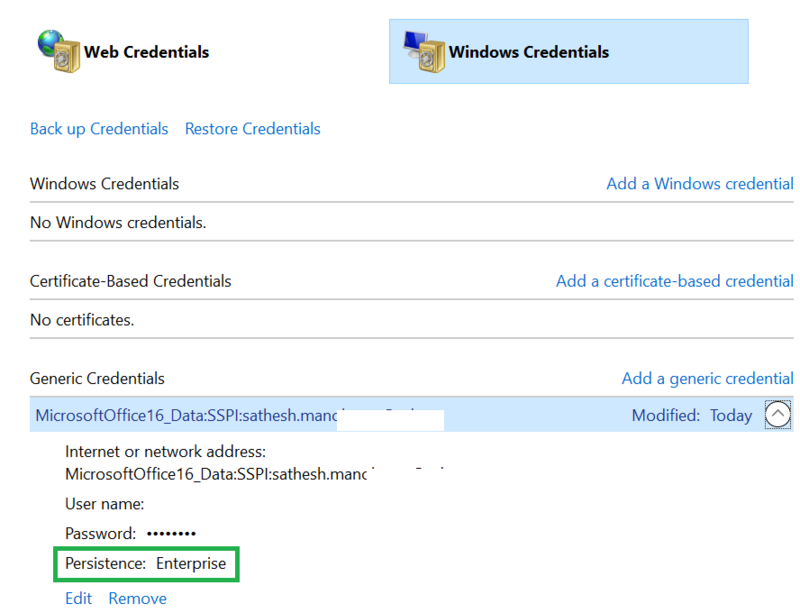 This is a combination of Windows integrated authentication and Kerberos authentication. If we employ negotiate authentication, exchange will authenticate the client using NTLM authentication type and if unable to verify authenticity, will challenge the client to authenticate using a username and password. 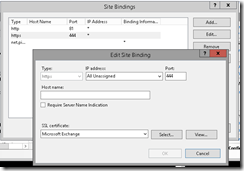 If you have Exchange 2016 and Exchange 2010 in your environment. 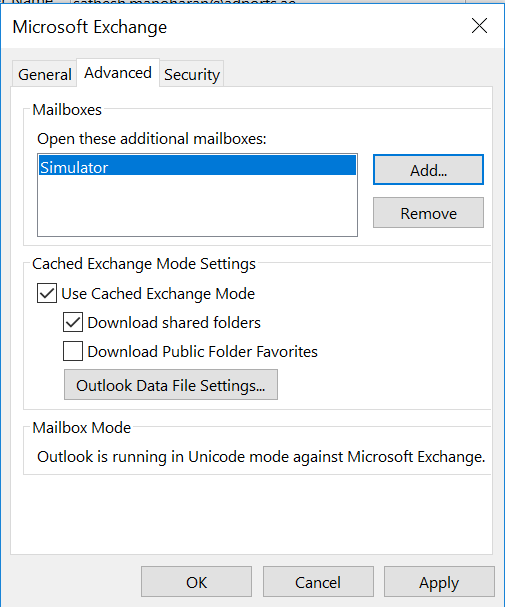 Outlook may prompt or slow it down to connect when its not able to reach the public folders of Exchange 2010 via Exchange 2016. In our case we have decided to remove Default Public Folder Database as we are not planning to migrate it to the new system. CN=Services -> CN=Microsoft Exchange -> CN=(your organization name) -> CN=Administrative Groups -> CN=Exchange Administrative Group (FYDIBOHF23SPDLT) -> CN=Databases. 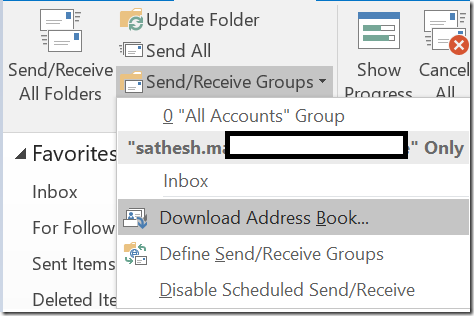 Now make sure Outlook is not trying to reach Exchange 2010 or legacy server public folders , You can always see the Outlook Connection status to check the same. There could be change in Authentication settings. 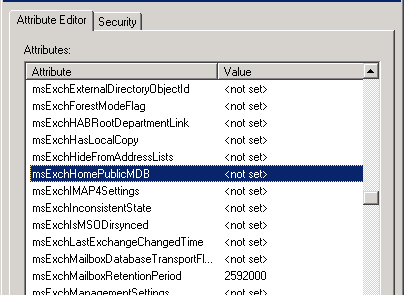 Listed Exchange 2016 default authentication settings on virtual directories from a healthy environment. Hold Ctrl key and right click on outlook icon on the task bar. 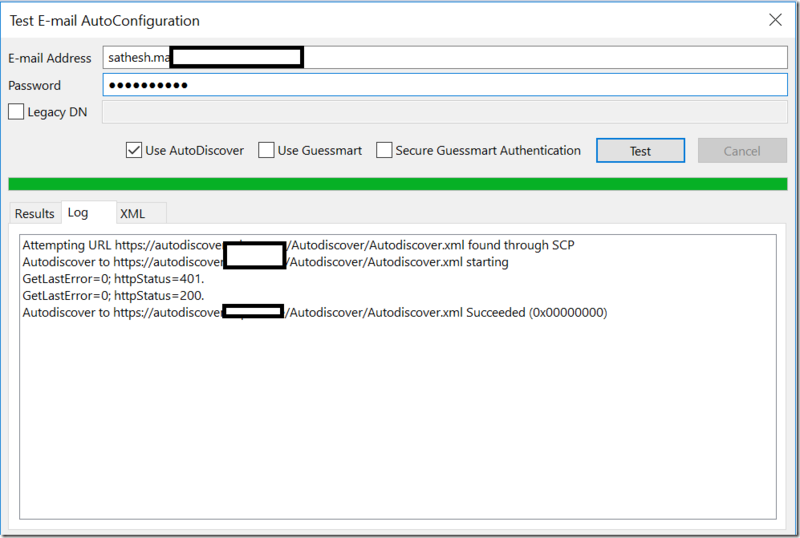 test email configuration run autodiscover. verify its returning right urls in a timely manner. 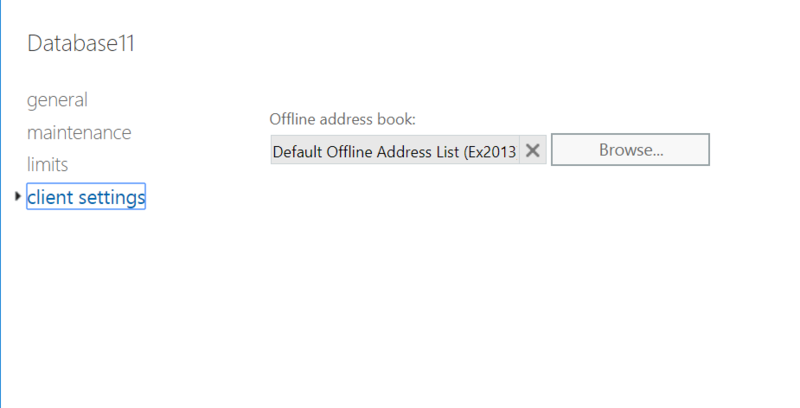 Make sure Offline Address Book assigned properly on Databases. 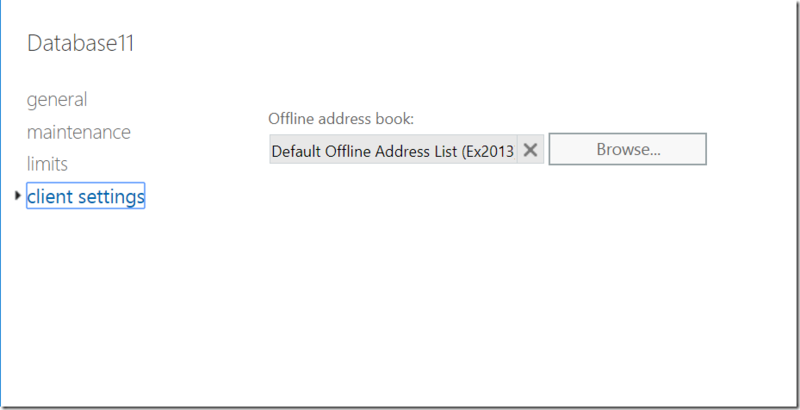 Make sure Outlook can download Offline Address books properly from the client side. Thank you for an informative article and for sharing your experience ! Only have one question regarding the logon prompt from external domain joined machines. Are MS going to fix it ?